UPDATE: We will be moving this event to Hudson’s Town Hall because of the weather forecast for thunderstorms tomorrow evening. Please be advised that capacity is limited and the venue is not air conditioned. This annual showcase will feature songs from past shows performed by SDW Alumni in celebration of the 30th Anniversary of the program. The showcase will also provide a preview of the shows being performed this year. We’ll also be presenting our first ever Standing Ovation Award to Sarah Worrest, for her years of leadership in theater arts enrichment. Each June, The River’s Edge Arts Alliance provides a free concert as part of Hudson’s Wood Park Summer Concert Series. 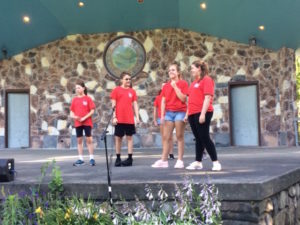 Families and friends gather on the beautiful amphitheater lawn in Wood Park, along the Assabet River, to enjoy the sound of community musicians doing what they do best—and to celebrate the best that our creative community has to offer, with the annual Artist Appreciation Award. 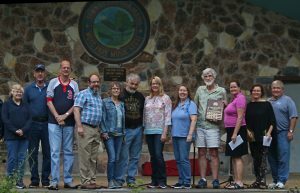 On June 13, 2018, The River’s Edge Arts Alliance presented the 2018 Artist Appreciation Award to the Assabet Valley Camera Club. The evening featured music from the Justin Meyer Quartet, the River’s Edge Chorale, and the River’s Edge Arts Alliance NEW a cappella group, REharmonix. Members representing the Assabet Valley Camera Club accept the River’s Edge Arts Alliance’s 2018 Artist Appreciation Award. Photo credit: Barbara Worrest. 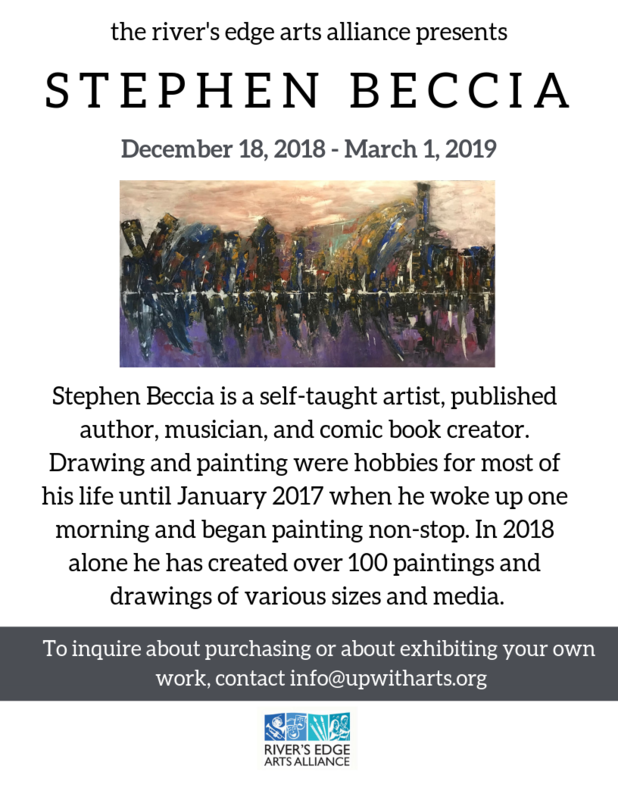 The Artist Appreciation Award recognizes those who have dedicated themselves to the cultural enrichment of our community. These individuals and organizations are nominated by members of the community and chosen by the River’s Edge Arts Alliance Board of Directors. 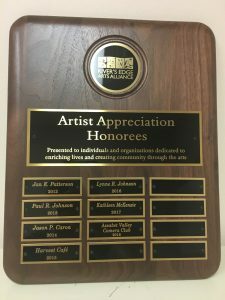 Our appreciation of these recipients comes with a sincere thank you to those serving the River’s Edge Arts Alliance mission “to enrich lives and create community through the arts.” There are many who dedicate countless uncompensated hours of time and energy to uphold the intelligence, creativity, talent, beauty and cultural enrichment of our community. We think they deserve to be honored for their complete dedication to the arts. In 1985 a small group of people who took an evening photography course at Assabet Valley Regional Vocational High School decided to form the Assabet Valley Camera Club. Currently AVCC has over 50 members of all ages with both amateur and professional experience from 15 different communities in the greater Metro West area. In addition to competing in photographic contests on the local, national and international level, the club has partnered with area organizations that include The River’s Edge Arts Alliance and the Friends of the Marlborough Public Library, with whom AVCC co-hosts photographic print exhibits. AVCC meets in the Great Room at the Hudson Senior Center on the first and third Wednesdays of the month from September through early June. Meetings are free and open to the general public. Members benefit from the hands-on experiences, from the knowledge presented in programs, and from having their work critiqued. AVCC welcomes anyone interested in learning more about photography as a visual art and its practical application as a science. For more information check out the AVCC website.